Sorry about the late night post, but my weekend was hijacked by a certain 6 year olds birthday party and sport. Ahhhh yes, Karate, Soccer, Basketball and Rugby to be precise. It's that time of the year and the kid's sport is back with a vengeance. So I am not going to hold you in suspense any longer and besides I am excruciatingly tired and my bed and a cup of tea is calling me seductively. Each month I am very fortunate to be sent a range of products from different companies to try out and I pick some of mine (and the kid's) favourites to share with you and in most cases for you to win too. Please make sure you enter separately for each product and if you are not registered with Disqus commenting, please leave me an email address so I have some way of contacting you if you win. Oh and be sure to follow all the steps otherwise your entry isn't valid. So without further ado - Here is this months line up of reviews and Giveaways. You may or may not remember a while back when I accidentally dropped my work phone in the toilet. Ummmm Yes well I'm not going to go into details but needless to say when I had to ring my boss and tell him the fate of my phone, I was more than slightly embarrassed. That little story above has no relevance at all really, apart from the fact that I LOVE my phone, I am completely lost without it and I get great joy from decorating it with pretty cases. Come on - tell me you are not into decorating your phone too.... surely not! 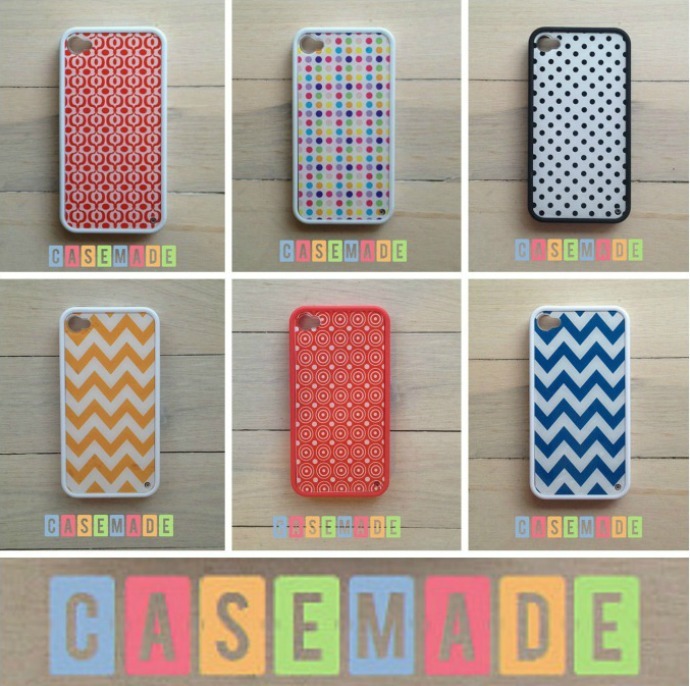 I recently purchased a very cute iphone case from Casemade on Etsy and it took me forever to choose one because they were ALL so damn cute. You can check out the range for yourself on the Etsy site here or at their webpage here but be warned - you will take a while to choose. Now I have a very cute little orange chevron case for an iPhone 5 to giveaway (pictured above) so your phone can look all fancy pants too. TO ENTER: LIKE Casemade on Facebook here and please say hello whilst you are there. Then leave me a comment here on this post to telling me your most disastrous phone story. Don't forget to include your email if you are not a registered commenter - I need to be able to contact you to tell you if you win! I am loving the revival of cute little retro style games and toys lately and I adore little games that fit neatly in my handbag. Having something that I can whip out and entertain the kids with whenever we are waiting somewhere like the frequently visited Drs office or I'm trying to drink a cup of coffee in peace, is priceless. These little games from HABA toys are the perfect size to fit in your handbag or car glove box and at just $15.95 each they would make such a cute little pressie too. The Caterpillar game is aimed for Toddlers whilst Pass the Buck and Mini-Memo are for age 4 and up. You can buy these games at loads of toy stores and retailers or you can get them online at Sendatoy.com.au and entropy.com.au. I have a set of of 3 games (pictured above) to giveaway to one lucky winner. TO ENTER: LIKE HABA Toys on Facebook here and please say hello whilst you are there. 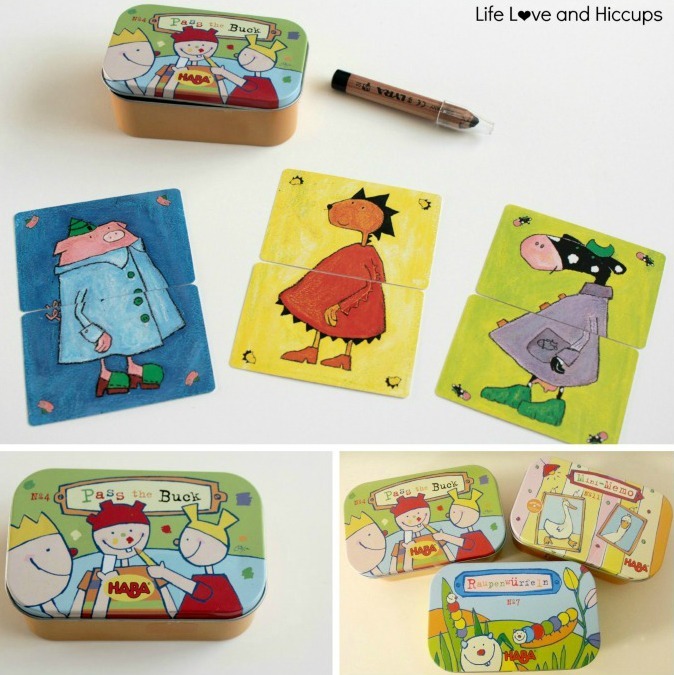 Then leave me a comment here on this post to tell me who you would like to win this cute set of HABA games for. WHERE HAVE ALL THE PIXIES GONE? We are big book lovers in our family and I am one of those mums that if my kids ask me for a book when we are in a store - I can't say no. It's a book for crying out loud and not a cheap plastic toy, so I get all excited and say "YES YES YES". I'm a sucker aren't I? Actually no need to answer, I already know I am. Sharny and Julius Kieser co wrote this gorgeous children's book Where have all the Pixies gone? With so much talk of the mythical Vampires and Werewolves in books these days, they couldn't help but wonder where all the Pixies have gone, and so they decided to write a book about just that! The illustrations in this book are by the very talented Ayesha Henderson and they are bright and colourful and trust me your kids will NOT let you turn the pages in a hurry. 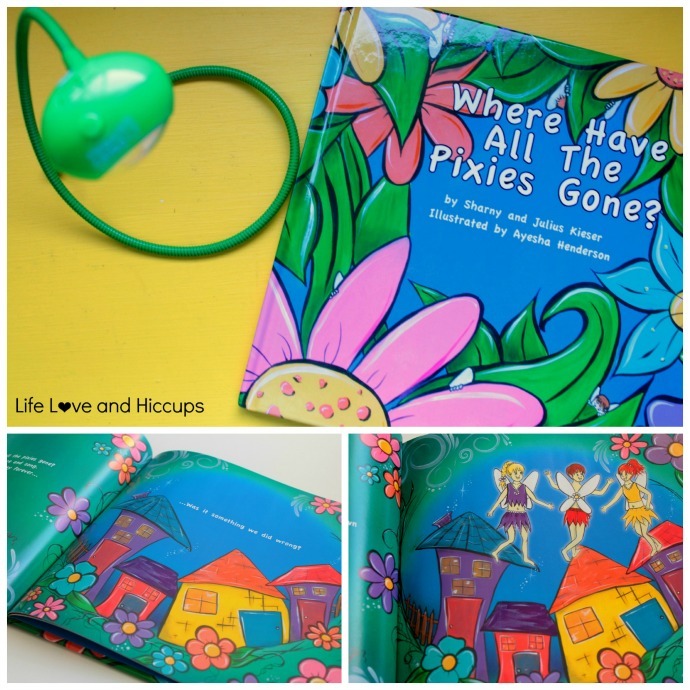 You can buy a copy of Where Have All The Pixies Gone? online at their website here and at the moment this beautiful book is on sale for only $16.99 + $5 shipping. It is the perfect gift for a special child. TO ENTER: Leave me a comment here on this post to tell me who you would like to win this beautiful book for. Ewwwwwww Who wants to sleep on a pillow like that one above? There is nothing better (as far as I'm concerned anyway) than climbing into a bed with freshly made sheets, but if my clean crisp pillowcases were covering something as grotty as that I think I would be a little freaked out. Even more so when I learned of some of the results of the recent scientific studies Tontine carried out on hundreds of used pillows from across Australia. Holy Moses our old pillows can literally make us sick. The study found that the pillows tested that were older than 5 years had twice as much mould in them when compared to a pillow less than two years old. With the average pillow being close to 5 years old (eek I'm guilty) we are seriously putting ourselves at risk. Don't get me started on how much I freaked out about the kids pillows. It is bad enough to put ourselves as adults at risk, but what about kids with their immature little immune systems? Now those people at Tontine are smart cookies as they have a range of Fresh Date stamped pillows that have a use by date clearly marked on them so you know when your pillows are not so fresh anymore and need replacing. For further information on the range, visit the Tontine website here. 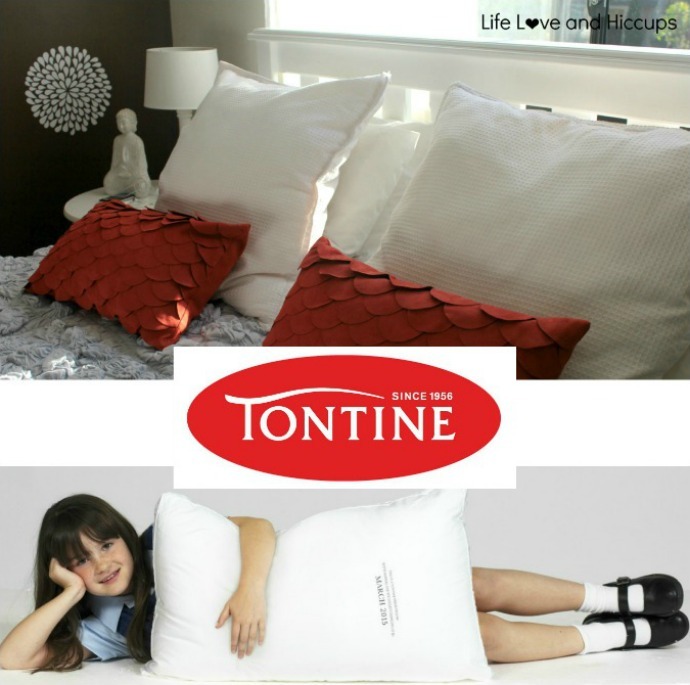 You can get these fabulous Tontine pillows from major department stores, discount department stores and specialty stores all around Australia and they range in price from $21.00 - $61.00. The generous gang at Tontine are serious about keeping Aussies healthy whilst they sleep and they have offered up two prize packs which means that 2 lucky winners will win a pack of 4 pillows each. TO ENTER: LIKE Tontine on Facebook and please say hello whilst you are there. Then leave me a comment here on this post to telling me when was the last time you changed your pillows (if you can remember). I am such a stress head and I have been talking with my Sister in Law for ages about wanting to go and do a meditation course. I have done a class or two before and the effects are amazing. The inner calm and serene feeling you get stays with you long after you have finished the meditation and my husband will happily recommend every man organises their wives to attend one. The problem is most of us are so incredibly busy, so finding time to take a shower and shave our legs is tough enough, let alone actually leaving the house to go to a meditation class. I had no idea you can actually learn all about how to de stress, help your mind and body through Stillness and actually do guided meditation online. Clearly I now know and I am currently working my way through the Science of Stillness modules - so if you see me looking all Zen like you'll know why. Tom Cronin, is Australia's celebrity meditation guru and he has a huge following including Ellen Degeneres and Susan Sarandon. He is responsible for the Science of Stillness online meditation programs as well as the fabulous One Life retreats in Bali. Tom, 45, is an inspirational and devoted family man committed to spending quality time with his wife and twin children in Bondi, Sydney. Such an appreciation for balance was the result of an indulgent and overworked lifestyle. After 13 years practicing STILLNESS, Tom returned to his doctors to hear that rather than ageing prematurely, he had reversed his age by three years effectively adding 16 years to his life. In light of this physiological transformation he found a STILLNESS instructor and trained to be a teacher. With over half the population talking about stress and using sugar, food and alcohol as a method to heal, Tom teaches the 5,000 year old ancient tradition of Rounding and Stillness needed for the body and mind to reboot and repair. You can find out more about Tom by watching his clip on You Tube here or following his Science of Stillness blog and website here. I have three courses (valued at $300) to Tom's online meditation program for 3 lucky winners who need to de-stress and reboot their mind and body. TO ENTER: LIKE Science of Stillness on Facebook and please say hello whilst you are there. Then leave me a comment here on this post to telling me where is your special happy place in your imagination. There is something so virtuous about sending your kids off to school with healthy wholesome snacks. OK if I am being totally honest, I admit I do like to sneak a naughty treat in there for them from time to time (everything in moderation right?). But as a general rule I try to include snacks in their lunchbox that I can grab from the cupboard but know are healthy and good for them too. Enter Mother Earth Australia's range of healthy goodies and trust me these are not just for the kids. The gang at Mother Earth were kind enough to send us a big box of their products and my hubby has been taking them to work and I have been merrily munching away on the nut mixes. My kids are fussy when it comes to muesli bars and snack bars and I have wasted a lot of money buying products that I thought they would like but they didn't. I get so cranky when food comes home in the lunch box uneaten, so I was a little worried these oats slices and fruit sticks might do the return trip. But they didn't and I am thrilled I have now found a new range I can include in the kids lunches. The Mother Earth goodies are available at Woolworths and Coles. I have 2 packs of Mother Earth Goodies for two of you to win. Each pack includes all the goodies shown above. TO ENTER: LIKE Mother Earth Australia on Facebook and please say hello whilst you are there. Then leave me a comment here on this post to tell me you would like to win this. The Competition is open now and closes at 7pm AEST Monday 07/04/13. If you are interested in having your product reviewed and possibly included in next month's Reviews Discounts and Giveaways post, please check out my CONTACTS page or just send me an email to lifelovehiccups@optusnet.com.au. I will only select products to review and include if they are suited to my family and my reader's demographics. Labels: Casemade iPhone Cases, Date Stamped Pillows, Guided Meditation, HABA Toys, Mother Earth Snacks, Science of Stillness, Tontine Pillows, Where Have All The Pixies Gone?